Raw mixed nuts are the solution to indecisiveness. Instead of choosing one type of nut for snack, you can simply enjoy the privilege of treating yourself to an assortment of some of the most popular nut varieties. You can enjoy a mix of earthy, nutty flavors, sweet buttery goodness, intense crunchiness and a pleasantly soft texture all at one time. 50% Peanuts, Almonds, Cashews, Hazelnuts, Pecans. Loved it. Fresh and tasty. You can store them for very long time !!! Raw and unsalted. A great value! 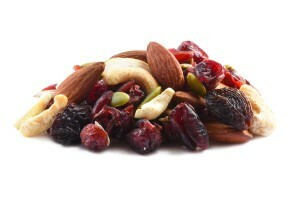 Good mixture of nuts as well as good proportion of various nuts in the mix. This is a very good price for the product, but they’re not the best raw nuts I’ve had. Love the raw mixed nuts. I just feel healthier eating them! Amazing variety in every handful! This was almost all peanuts as filler. I guess you get what you play for. Great quality. This is my go to daily serving of nuts. No more hydrogenated oil for me. We recently ordered these for the purpose of making smoked mixed nuts. 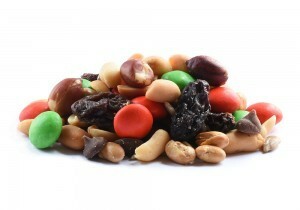 This is the exact mix of nuts we prefer for smoking. Received the order quickly. Very pleased with the product. Nice, fresh, and extremely well packaged for maximum shelf life. Will be ordering from Nutstop again! Enjoyed, will be getting more for the holidays to fix with gift bags. Excellent 5 star product. Loved the fresh raw tastes. Prompt shipping too. The price offered by NutStop is the most competitive that I found over the internet. I like them raw because I can then play with them, meaning I can season and bake/toast them however I desire. Based on the price and quality (aka not rancid), this is for sure the place to get them. I like it because I can eat a variety of nuts at once. After finishing it, I will definitely buy it again. We put these out for healthy snacks for our employees at work, along with an assortment of fresh fruit, and they are very popular. The raw peanuts do taste a bit like raw green peas, but no one has complained, and it’s a great value for the price. 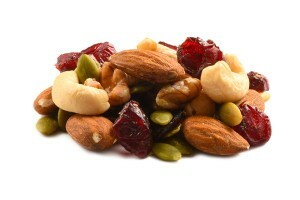 Raw nuts have a much higher nutritional value than their roasted counterparts, and they have no added oil or salt. A delicious and filling snack!